Harley Davidson has built itself as a company in such a way that today it is the most popular and respected name in the motorcycle manufacturing industry and it is not without reason: Their each part is tuned to perfection, to be the best and do the best what it is meant to do. 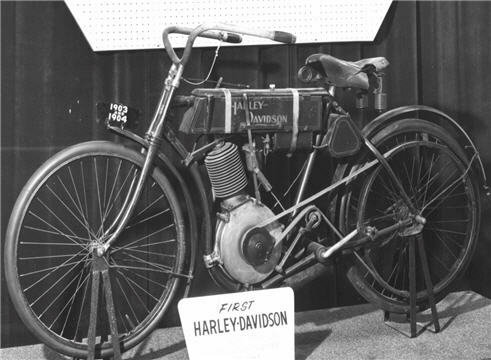 Harley Davidson was founded in 1903 and it is one of the only two motorcycle companies which was able to survive the Great Depression in the 1930s but that was not its only test. It has been able to survive through many a tough times with competition to reach where it has but now, it wouldn’t be an exaggeration to say that Harley Davidson has shaped the motorcycle culture in USA. In fact it wouldn’t even be wrong to say that it has created a culture of its own; something that people refer to as Harley culture or even Harley mania. You gotta admit there is a particular feel, a mystique that is attached to the Harley Davidson motorbike; something that is not present in the case of any other motorcycle brand for there is no other brand which has the ability to gather so many enthusiast around USA where they all gather for rallies like Harley Davidson enthusiasts do and they do so after driving hundreds of miles even. All that might be true but you have to admit that all this is not what makes us really want a motorcycle. It is how it works for us out on the road that really matters for us. It is how it’s part function for us that really matters to us and Harley Davidson bike’s parts do that for us. A motorcycle and especially a motorbike like Harley Davidson must be in best shape for it to live up to its standard, for it to live up to what it really is. It simply won’t do if you don’t keep it maintained and it won’t do if you don’t use the best parts to maintain it. Moreover, it is also not safe to own substandard parts that might cause an accident. So the most important thing is to choose the best kind of parts to replace the old, damaged ones and to do it regularly but keeping the costs and budget in the mind at the same time as well. It is not an easy task to find the right Harley-Davidson parts for your motorcycle in the right price at least. There is also this choice one has to make between buying an OEM part or an aftermarket part. Where can we find good quality parts? Is it fine to use an aftermarket part? There is no straight way to answer these questions. It depends on you; you have to decide what you want or need and at how much price. An Original Equipment Manufacturer (OEM) part is of course an original Harley Davidson part manufactured by an authorized manufacturer and sold by the authorize Harley Davidson dealer. These parts are original in that they are created with exact same specifications as the original parts though it is quite possible that these parts were manufactured by Harley Davidson themselves. Harley Davidson might assign another company to make these parts according to their specifications and sell them as OEM parts. They are generally more expensive than Aftermarket parts. Though, it is entirely possible that aftermarket parts are almost as high quality as OEM parts but one must understand that these parts are not made by the original company. However, it is not so simple as that. Sometimes the original company might allow the manufacturing company to sell them in its own boxes and still later it might allow the designing company to sell them in their own boxes as well. These latter are Aftermarket parts. So they might be as good in quality and specifications as the OEM parts but with potentially lesser costs. Another thing to be noted is that if you are going for a radical look, aftermarket parts are the deal for you. You can use them to give a relatively more unique and stylish look to your motorcycle since they are supposed to be different from OEM parts. However, the question is if they are different, do they work fine? They can, they will. But you have to be careful about the quality, be as sure about it as you can. If the quality is good, they will do as good as OEM as parts. Buying Harley Davidson Parts Online or Offline? Harley Davidson parts can be bought both offline and online. Offline there are authorized dealers of Harley Davidson parts which sell them throughout USA and provide other services too. Online, there are many websites dedicated exclusively to providing Harley Davidson parts across the internet. Some of them can be the authorized dealers too apart from others who can provide quality parts too and there is a wide choice over the internet at each site which provides us with the convenience of choosing whichever part of whatever quality and price we like as compared to physically visiting a place offline and since there is a huge amount of choice it also goes easier on the pocket because of the competition between different dealers apparent from the obvious benefit of saving our time and energy. Some sites also offer used parts which can be good quality too. So if they suit your need you can go for them too because Harley Davidson parts are actually made to work and work long time. So if you are satisfied with their quality it is all fine! The bottom line is that it is not a big problem if you are satisfied with the quality of an aftermarket part or even a second hand part; it will be easier on the pocket and you can also give a more unique look to you bike. On the other hand, if you are not, you might want to look into the OEM market and dealers and going online for this would certainly save you a lot of money, effort and time. Harley Davidson parts are the most hallowed and sought after chopper motorcycle parts for custom built chopper enthusiasts. The customizations can be simple, such as adding new gleaming exhaust pipes or changing the bike's frame to accommodate low riding forks for the front wheels. The term that is used to describe that part of the vehicular market that sells parts for customization is called the aftermarket. Currently there are thousands of companies producing aftermarket Harley Davidson parts including engines, transmissions, frames, gauges, forks, brakes, wheels, saddle bags, gas tanks and transmission. The wide availability of new and used Harley Davidson parts as well as clones of Harley Davidson engines and accessories means that an entire chopper can be built from scratch simply using parts acquired on the aftermarket. In the end it is also possible to have a customized bike that looks a lot like a Harley Davidson motorcycle but does not contain one single part actually manufactured by the company. If you have done a little bit of research on choppers, you undoubtedly have run across the term, shovelhead engine, knucklehead engine, panhead engine, and V-Twin engines. These are the kinds of motorcycle parts you should look for if you want your Harley Davidson inspired chopper to have that authentic, heavily chromed look. A used, new or clone of a knucklehead or a panhead V-twin engine tells the world that you mean serious business when it comes to customizing your bike. Custom chopper kits are for serious bike addicts - the type that spends hours simply polishing the chrome rims. Purchasing a custom chopper kit can save you time by providing you with all of the necessary Harley Davidson parts in one package. However, don't build your own chopper unless you have a basic understanding of basic mechanics and are a little bit handy with tools. 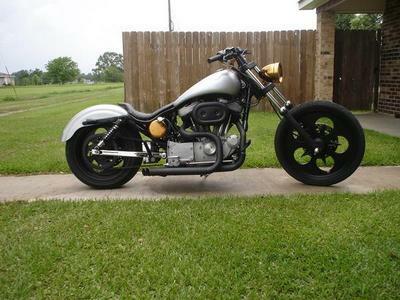 Sometimes it is only a little more expensive to take the custom Harley Davidson parts included in the chopper kit to a local mechanic and have it assembled for you. Many upstart custom chopper enthusiasts are more impatient than they anticipated when it comes to building a chopper. Plus, if you not very good with tools, or inexperienced with tools and following mechanical directions and working with harley davidson parts, it may be a good idea to hand the job to a professional. Building something out of Harley Davidson parts that looks like a spin-off of the original police bikes from the 1930s and 1940s is quite a trend in custom chopper building. The idea is to create a look that is similar to the original, as opposed to a direct imitation of the motorcycle. Anyone can just bolt a bike together from a custom chopper kit. However, when it comes to building a truly artistic looking, sleek, distinctive chopper, you need to be quite selective about how you go about choosing various Harley Davidson motorcycle parts or their clones. Nowadays, you can literally get any Harley Davidson part you could possibly desire in the aftermarket. Thanks to the availability of cloned parts, you can spend anywhere from $10,000 to $100,000 on motorcycle parts and still come up with the same authentic looking Harley chopper. Here is a good place to look for Harley Davidson parts. You’ll be surprised what you can find. Highly Recommended: This video/dvd series is a must have for any level builder (full customs, or kit bikes).